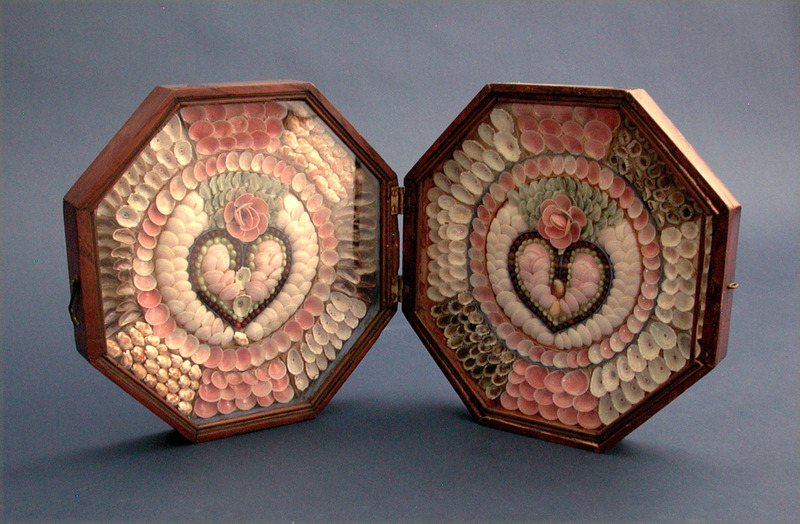 SAILOR'S SHELL VALENTINE with large hearts in the center of each, octagonal shaped, side. Typical variety of shell types and colors form attractive floral motif and other designs within the 9" wide boxes. Overall width when open 18". Condition very fine noting slight warpage that makes it a bit difficult to fold and close the two boxes/sides. Not noticeable when displayed partly or fully open. All the shells retaining bright, unfaded, colors. Circa 1850-60.